You have a beautiful tone & vibrato – good for you! I suggest practicing some ‘lowering your diaphragm’ exercises to specifically apply on the high notes that come in the middle of a phrase, such as the word “ALL” in the melody of the opening line. If you’re a tiny bit under the pitch on those notes, I believe its because you’re trying to hit them simply using your throat instead of assisting with better breath support. You seem very comfortable on stage – enjoyable performance! 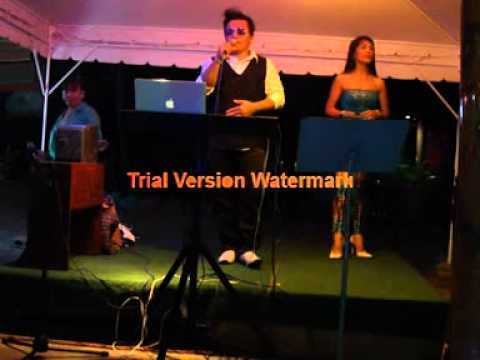 I AM VERSATILE VOCALIST, CAN EASILY ADJUST ON WHAT ARE IN THE DEMANDS, SINGING CAREER FOR ALMOST 30 YEARS INCLUDING AMATEUR AND PROFESSIONAL GIGS IN ASIA. This singer was an entrant in our competition which ended on June 15th 2016.